Kompaktná, ale napriek tomu profesionálna nabíjačka s analytickými funkciami. 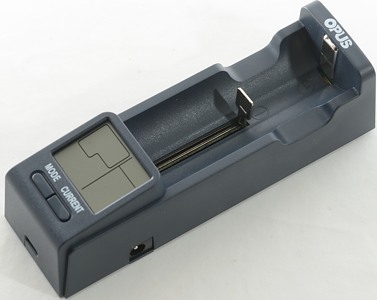 S množstvom malých vylepšení v porovnaní s jeho veľkým bratom BT-C3100 prináša Opus BT-C100 ako nabíjačka one-bay výhodnú metódu pre prepínanie jednotlivých typov batérií priamo pomocou tlačidiel na nabíjačke. Podporované sú LiIon 4.20, 4.35 LiIon, LiFePO4 a NiMH / NiCd akumulátory. Displej zobrazuje napätie batérie, nabíjací prúd, vnútorný odpor, stav nabitia alebo vybitia a práve uplynulý čas nabíjania. Stav na displeji je priebežne aktualizovaný, a to aj po nabití a ukazuje tak kedykoľvek aktuálne napätie. 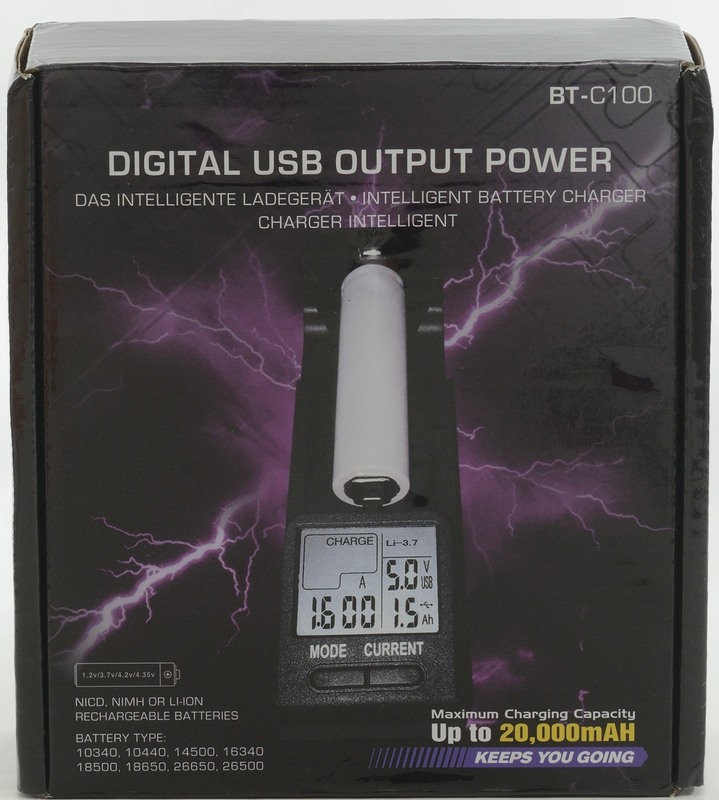 This is a supplementary review to the original BT-C100 review, please read it first. This time the retail box was ready and I got the EU version. 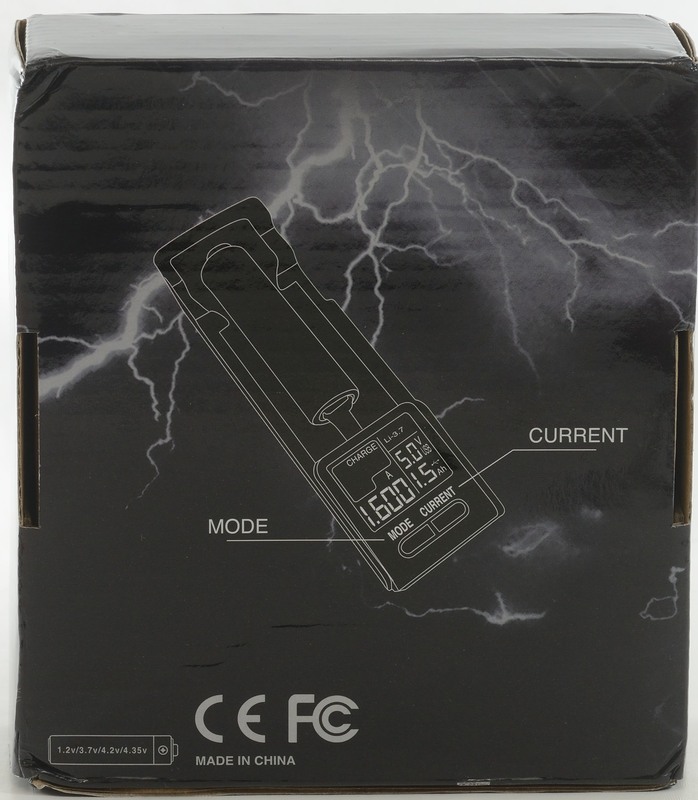 The box included EU power supply with universal voltage , manual and the charger. I forgot to show the markings on the charger in the last review. When a battery is put into the charger it will shortly show the voltage (Maybe a bit too shortly) and then change to show the selected current. It looks like the voltage display is fairly accurate now when working as a power bank. 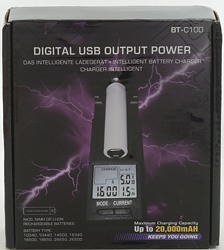 The charger still looks like it is connected to power when a LiIon battery is put into it and you can select modes and current. The settings do not work, before the charger is connected to power. 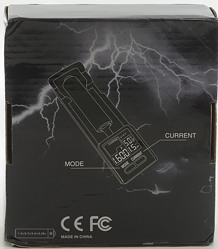 This can confuse the maximum current setting in the charger, i.e. you cannot select the currents that are supposed to be aviable. Except for the confusion it is not really a problem, just connect power before putting the battery in. I am not going to do all the tests again, only a few spot tests and some supplementary tests. 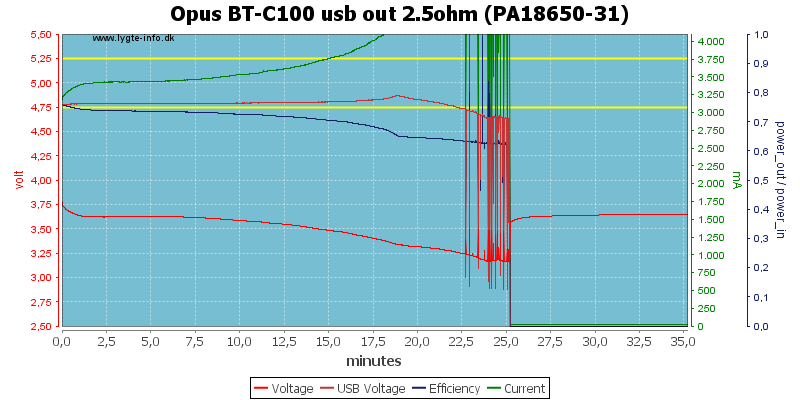 This time I did not break the usb connector and did some test with usb powered charging. Charging looks the same as the first one I tested. 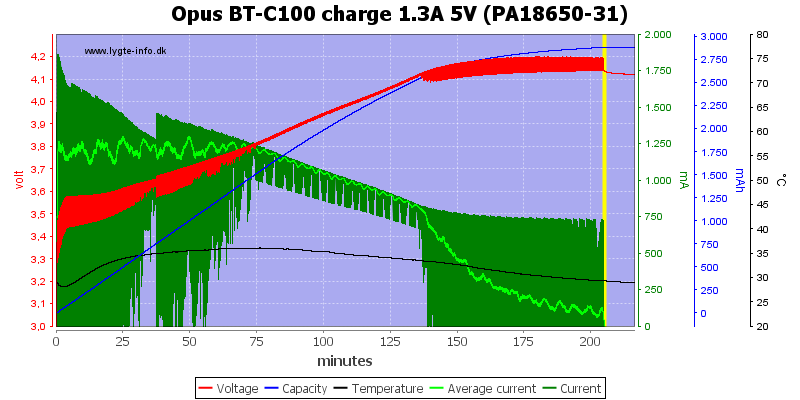 Highest LiIon charge current is 1.6A with a 12V power supply. 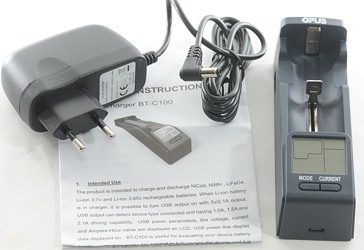 With usb power supply the maximum LiIon current is 1.3A and as can be seen it cannot maintain the current until the CV phase (This is very common for usb powered chargers). 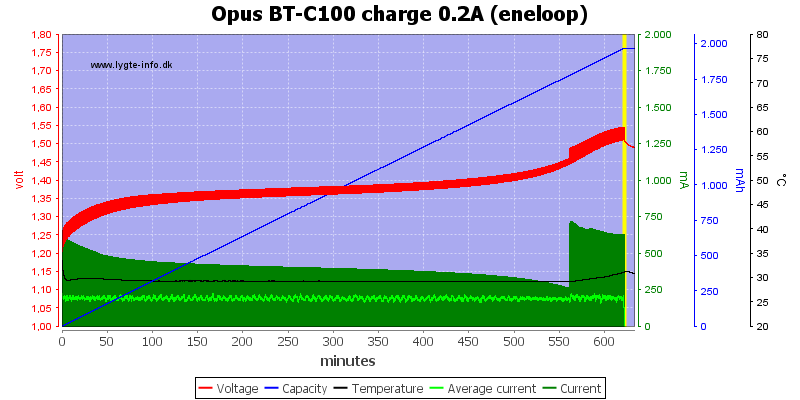 The charging is just as good as with 12V power supply, but will be a bit slower. 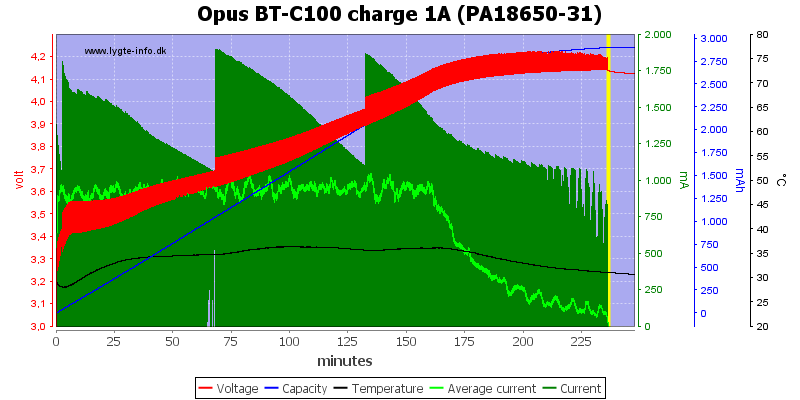 Simulating a long usb cable or weak usb power supply did slow the charging down, but the battery is charged. 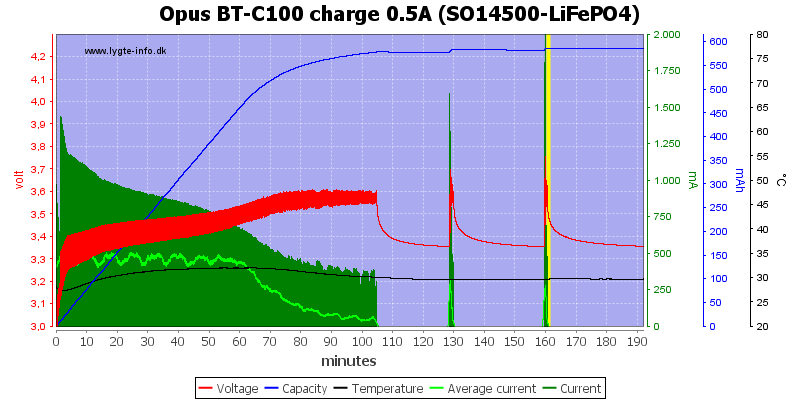 The LiFePO4 charging has not been improved, it will restart a couple of times, due to the voltage drop. 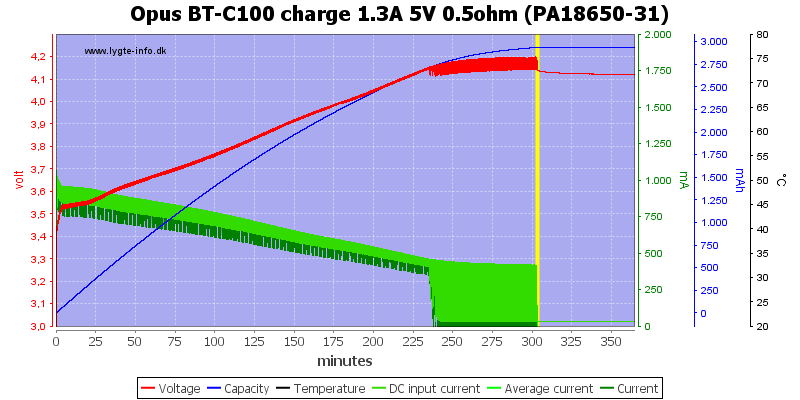 The charger do not miss termination at low current. 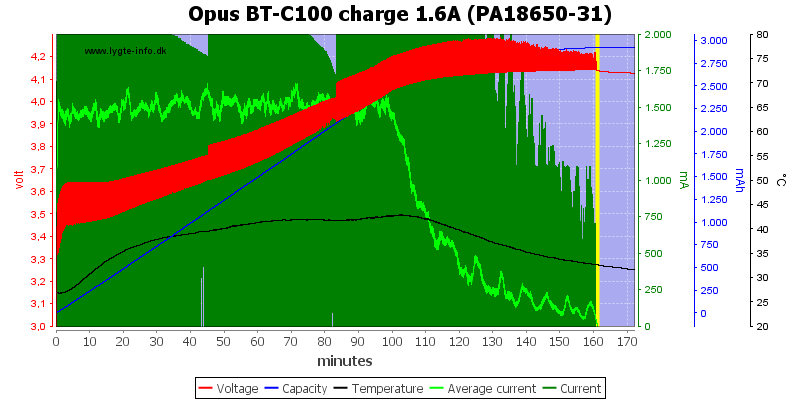 A high current charger from usb power also works fine, but for some reason the charger reduces current during the charge (It might be due to temperature). I run the usual load tests and it looks about the same. The problems at 2A is still present. 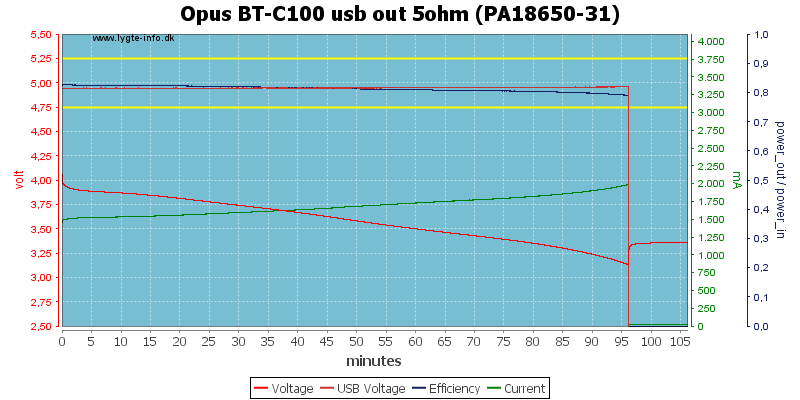 Instead of these oscillations it would have been better to turn the usb output off. I did not expect many changes from the early version of the charger and I did not find many. I like the slightly improved user interface where it displays voltage and then selected current. 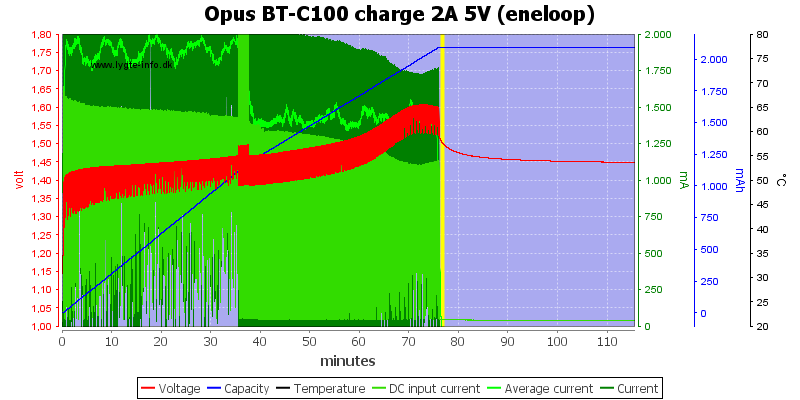 But it looks like the final LiIon voltage is rather low, I hope it is only present on my copy of the charger (0.05V more would have been nice).